When you have young kids or teenagers, it can be difficult to plan a vacation that everyone will enjoy. Sometimes it feels so impossible; families decide to boycott heading abroad, settling for a nearby location. While this may make you, the parents, feel safer, you are taking away your chance, and your kid’s chance, of experiencing and seeing the world. If you want to head abroad, here are the best child-friendly travel destinations. Sometimes heading to a capital city can leave parents worried, wondering if it’s too big for their kids to handle; however, Edinburgh is big enough to keep you and your children entertained, but small enough so that you do not feel overwhelmed. Edinburgh is notorious for its major festivals throughout the year, including the Fringe festival or the science festival. Other major points of interest include the Museum of Childhood, the Edinburgh Castle, Princes Street, and the Old Town. For a relaxing day, though, head to Holyrood Park, where you can walk, cycle or simply look at the loch. When you think Florida, you will, of course, concoct visions of theme parks and Disney World. You’ll also dream about sunny weather and beaches galore, for both parents and kids to relax and sunbathe on. If you want to explore, though, you can visit the Shuttle Launch Experience which can be found at the Kennedy Space Center Visitor Complex, or you can grab a vehicle from a trusted car rental and drive to the Everglades National Park so that the whole family can see alligators and the subtropical wilderness. Toronto will wow your kids, with its abundance of child-friendly activities, such as ascending the famous CN Tower or seeing dinosaur bones at the ROM. You can also visit Chinatown and the Kensington Market, or see the glittering skyline from afar when the sun dips. The main attraction, however, is Niagara Falls, which will be a wet and wild experience for all family members to enjoy and remember for years to come. While the North Island may not have snow-capped mountains, it does still offer dramatic and beautiful views you’ll never forget. Plus, it is difficult to separate New Zealand from Lord of the Rings, so be prepared to recognize rolling, green hills, hobbit houses, and vivid vistas. Popular places of interest include Rotorua, Waitomo, and Wellington. Japan itself can seem like a giant playground. With neon lights and anime seemingly everywhere, kids can settle quickly and be kept entertained incredibly easily. If your children are avid gamers or fans of Pokémon, then the Pokémon Center is right up your street – just be prepared to have to buy a few plushies! If you have teenagers, you can take them to Akihabara, the Electric District, where the latest gadgets and geek culture can be found. Mount Fuji and the beautiful Nikko are also only a short drive or train journey away if you’re after a more traditional view of Japan. These are some fun places. We do go to Orlando a lot. One day my daughter would LOVE to go to Tokyo. I wouldn't mind checking out Canada! These sound like some amazing places to go - I went to Florida as a teen and would love to go back one day, I keep saying I'll make it to Scotland one day as well! Orlando Florida is the best. How can you go wrong with Disney, Universal, Sea World, Gatorland and more all in one city. I want to go to all these places! They all look like the wonderful places to go. New Zealand is at the very top of my list of my travel bucket list. I can't wait to go to it! I hope to take my kids to Japan one day! My older son is a Japanese major in college and we all want to visit Japan with our native speaker! I have always wanted to take my family to Japan. My kids both want to see Tokyo. So many great places to visit! Your kids are so blessed to be able to experience these places with you. Love all your destinations!!! So many that I want to go to... and of course, Florida :) That's where we live and there is so much to do there! We live in Florida now and are making our rounds on all of the places. I would LOVE to visit Japan someday! I have heard that New Zealand loves kids! Friendly citizens, things to do, simple but yummy food. I love your description of the landscape. From all these places, I've only been to Toronto! I would love to visit Japan, excited to be in Asia for the first time later this fall! totally agree about Florida! 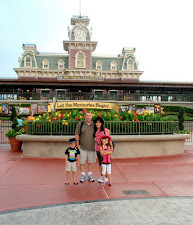 We've been there many times with the kids--and are heading there again in a few months! Wow, these sound like great destinations! My youngest is three and not a super listener so I'm always nervous about an international visit. We are looking into booking something soon. I've never been to any of these places, but if given the opportunity, I bet our kids would go in a heartbeat. What a fun list of places to visit.